Four displaced people were killed, and 39 others were wounded by government troops during the second day of a peaceful demonstration in Kalma camp for the displaced in South Darfur. The demonstration today, which was attended by tens of thousands of displaced, was aimed against the repeated raids by government forces in the past weeks. The demonstration will continue tomorrow, on Saturday. Two of the dead were women, and five of the 39 victims were wounded by gunshots. The displaced people had raised banners during the protest, demanding the removal of the government and security for the camps. 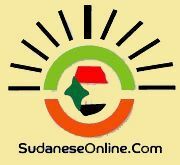 Witnesses told Radio Dabanga that the Sudanese security forces fired tear gas and bullets, and hit the demonstrators with batons, in order to disperse them. They killed Ramadan Yagoub (3), Azha Ahmed Yusuf (13), Musa Adam Ali (21), and Maryam Abdallah Mohamed Ishag (27) in the process. Camp Sheikh Ali Abdel Rahman El Taher said that the demonstration included all 150,000 displaced inhabitants of the camp. 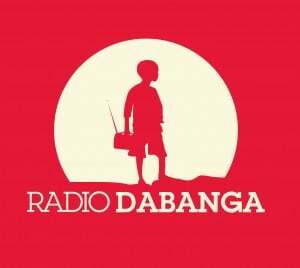 He stated that the peaceful demonstration will continue on Saturday.andnbsp;He appealed through Radio Dabanga to all displaced people in the Darfur camps to go out in similar demonstrations. During a raid of Kalma camp on Thursday morning, a young man and three children were wounded, the camp’s Secretary-General noted. They are Mubarak Mohamed Al Ibrahim (17), Nawara Yagoub Abdallah (11), Idris Ali Adam (9), and Nahar Abdallah Adam (7). News photo above made by a Radio Dabanga correspondent in Kalma camp on Friday, 5 September, 2014. The demonstration in Kalma camp started peacefully on Friday, until Sudan's security forces opened fire on the masses. Four people were killed and 39 were wounded. The following photos, made by a Radio Dabanga correspondent, may be considered as disturbing.